For those of you interested, Crufts - the biggest dog show in the world - starts tomorrow in Birmingham. This is what thousands and thousands of exhibitors will be doing in preparation and what I used to do for many years including judging there in 2006. Good luck to all my friends who exhibit their dogs, and especially the Old English Sheepdogs! 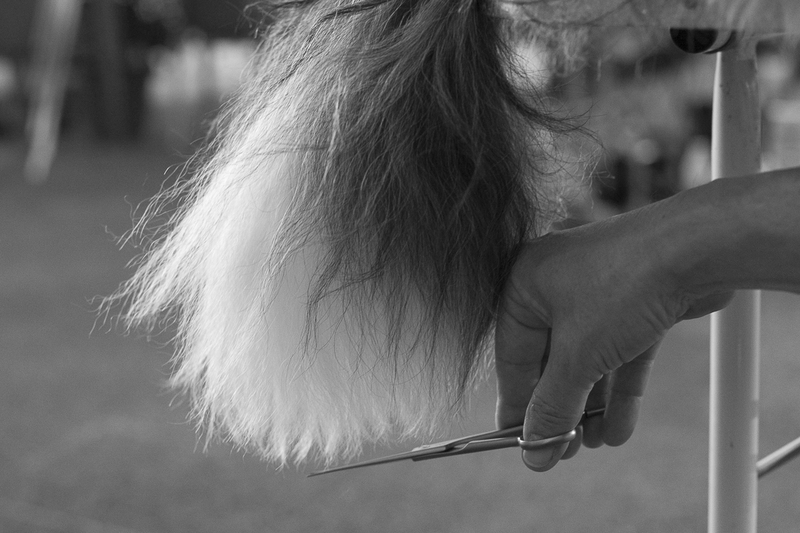 (This is the tail of Sjaak Nelleke's dog when they visited the Monaco dog show one year). I love a dog show!